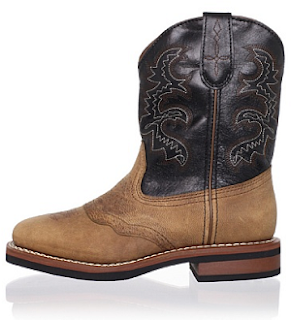 The classic cowboy boot. Is there anything more American? 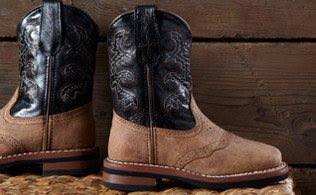 Your little one might just be learning about the Wild West, but they are certain to love these fun shoes. From bright colors like pink and red to sweet details like butterfly embroidery, your little cowboy or cowgirl will be ready for the rodeo. Or an excursion to the grocery store. The details: Brands include Dan Post, Dingo and Laredo. ♥ Approximate measurements: heel 1"